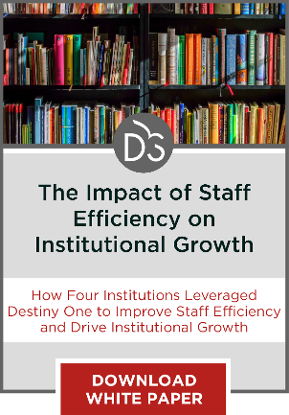 While efficiency-related changes can sometimes lead to layoffs, the most successful institutions create efficiency through expansion. The following email Q&A is with Ray Schroeder, associate vice chancellor for online learning at the University of Illinois, Springfield. Often, talk of creating efficiency in the higher education space is tempered by fears of downsizing and layoffs that are expected to follow. But is this necessarily the case? In this Q&A, Schroeder addresses this perception of efficiency-related transformation and discusses other approaches to creating efficiencies. 1. What are some of the biggest challenges higher education leaders face when they look to improve the back-end efficiency of their institutions? The pressure is on from federal and state governments, consumers at large and industries to reduce the cost of higher education and to better achieve outcomes consistent with the needs of students seeking employment. How to best identify those fields that will garner greatest student interest and potential for employment. 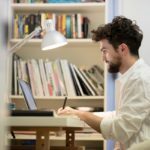 How to best re-allocate resources, including personnel, from disciplines that are diminishing in demand to those likely to expand. How to meet the broader needs of the state, country and society. 2. How do students benefit from their institutions committing to greater efficiency? At the same time, the efficiencies enable the institution to allocate more to resources such as laboratories, technology infrastructure and additional faculty to the disciplines in which the prospects for employment or advancement in careers are most likely. The careful selection of programs and degrees that are forward crafted — designed to meet the needs of today and tomorrow rather than yesterday — provides students with career and promotion paths that are going to serve them best in the future. 3. 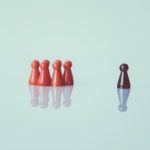 Do efficiency-related changes necessitate downsizing and layoffs? The most successful efficiency-related changes involve overall expansion of programs rather than downsizing of operations. Efficiency can be expressed through economies of scale where they can be found. Simply, by building better-conceived programs that serve the needs of more students, overall efficiency can be enhanced. In some cases, downsizing programs that are not thriving is the best course of action. If some of the programs have outlived their relevancy and demand, they must be modified. Layoffs are possible but, ideally, faculty and staff members will be inspired to enrich their knowledge and skills to serve students and initiatives that are in demand. 4. From your perspective, are institutions better off finding efficiencies through growth or though cuts? Certainly, the best approach to finding efficiency comes through cultivating economies of scale in fields that are in-demand and growing. This results in a larger student base that helps to assure the program continues to flourish even in instances where a portion of the student population may not be able to continue or where an employer in one area may not be hiring. In building a larger, more cost-efficient program, however, one may need to re-allocate resources from areas that are no longer relevant to the students or the marketplace. This can impact those less-successful programs, including the faculty and staff in those programs. Higher education administration in this century requires us to be responsive to the changing employment marketplace and the changing needs of students. We need to continuously monitor the trends in the fields we service. And, we need to ensure our faculty members receive the development opportunities to keep them relevant to their students, while at the same time providing them with state-of-the-art facilities and resources to provide students with the very best opportunities for learning. While downsizing is sometimes necessary when creating efficiencies, the most successful efficiency-related changes involve overall expansion of programs. Cultivating economies of scale in in-demand and growing areas is the best strategy to accomplish an “efficiency through expansion” outcome. With all this focus on financial efficiency in higher ed, Schroeder does right to bring us back to the key considerations institutions should make before undergoing change. At the end of the day, efficiency is about meeting program, student and societal needs, not about the bottom line. Institutions that understand this distinction will do better in the change process, by building internal support for changes and external credibility. Shannon- Thanks for the comments. You are absolutely right; success is to be judged by meeting program, student and societal needs. If we find ways to meet those needs, we will succeed in achieving our mission. In these tough times, we need to keep our eyes fixed on the mission, not the minutia. I agree with this piece. When efficiency is thought of as improving outcomes, it often follows that financial efficiency is also realized, for example, through economies of scale and other changes that improve processes but don’t disturb programming. By putting outcomes first in thinking about reorganization, institutions won’t shy away from the idea of expansion, if indeed that’s what the market demands. Thanks for sharing your thoughts on this. You are right, we must keep the outcomes foremost in our minds. We must not let the tough times force us into a never-ending downward spiral.